Societal and environmental responsibility, design and creativity: just some of the areas in which OWA received awards since 2016. 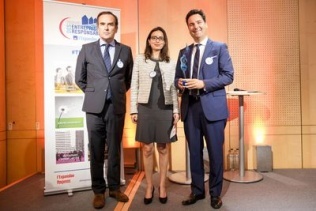 Armor's innovative approach was rewarded in October 2016 during the CSR awards by the L'Expansion/L'Express group in partnership with AXA. OWA is part of the group's global strategy in terms of responsible innovation which takes into consideration its environmental impact and aims to make it totally neutral. This label rewards the implementation of 4 major principles: respecting the interests of suppliers and subcontractors, the effects of procurement on economic competitiveness, the integration of environmental and societal factors within the procurement process and finally, the quality conditions of the supplier or subcontractor relationship. OWA was given this award by BPCE Achats, which recognised "solutions that bring together the ecological and societal dimensions of CSR". Solidarity prize "Working with others"
Organised by URIOPSS (Regional union for private health and social entities) and FACE (Foundation for action against exclusion), it recognises Armor's commitment to its partnership with ADAPEI 44, in which teams of disabled workers take part in the packaging operations for OWA's laser cartridges. One year after its launch, OWA is rewarded for its creativity and design. The award was presented to OWA for its educational film during the Deauville Green Awards. 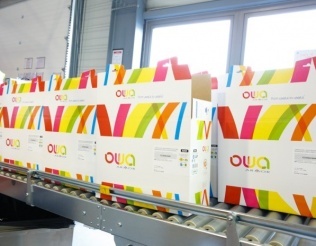 OWA's graphic design was also internationally recognised during the Pentawards for its innovative and colourful packaging which received the bronze award.